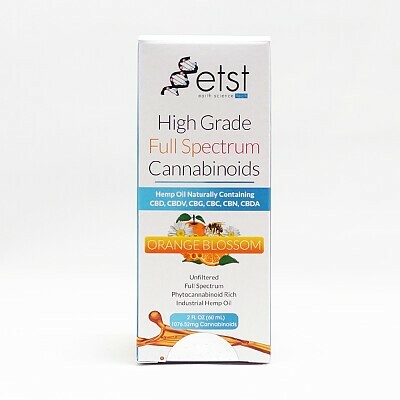 ETST’s High Grade Full Spectrum Cannabinoid Raw Oil tincture contains Unfiltered Industrial Full Spectrum Hemp oil and Coconut MCT oil enhancing delivery and maximizing absorption. ORANGE BLOSSOM HIGH GRADE CANNABINOIDS OIL 1/2 oz. Other Ingredients: Unfiltered Industrial Full Spectrum Hemp Oil and Coconut MCT Oil.